Numerous special pyrometers for specific application are available. 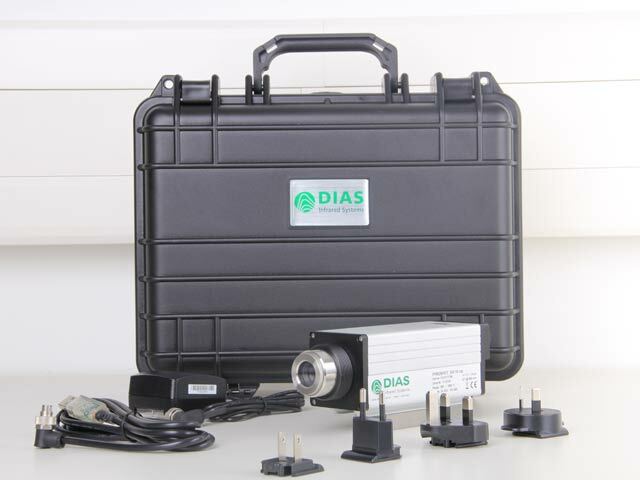 The digital pyrometers PYROSPOT DGA 10N/DGA 10NV are developed for temperature measurements from 400 °C on silicium and for laser application in industry and research. A variant with fibre optics cable is available for temperatures from 350 °C (PYROSPOT DGAF 11N). Due to a special narrow-band spectral range the silcium, that is otherwise permaeble for infrared radiation, can be measured exactly in a wide temperature range with almost constant emissivity. Also for application on metal surfaces that are machined with laser the PYROSPOT DGA 10N/DGA 10NV is the best choice. The wavelength of many laser is outside of the spectral range of the pyrometer so that the temperature measurement is not influenced by the laser. The additional use of mostly extensive laser blocking filters lapses in this way. Tungsten materials in a temperature range up to 2500 °C can be measured with the digital pyrometers PYROSPOT DG 10NT/DG 10NTV. Due to a special narrow-band spectral range exact measurements with a constant emissivity in a wide temperature range can be made. The digital pyrometers PYROSPOT DPE 10C and PYROSPOT DT 40C are special pyrometers for the temperature measurement of flames and combustion gasses that include CO2. The narrow-band spectral range is thereby on the absorption band of hot CO2. The digital DIAS transfer radiation thermometers PYROSPOT are particularly long-term stable and high-precision calibrated devices that are specifically designes for inspection of black body calibration sources in the temperature range from 0 °C to 2500 °C. For more information and an individual consultation please contact us.